I totally need one. Those are so cool!!! We're expected to have a snow storm around 2:00 (it's 1:30 now) and I could use it! Oh, they sell those in Korea as well, for a little over a dollar! Dang, I should have bought one for you-they're adorable, and stick to ceilings as well. Oh well. Hopefully they'll come to the US soon! 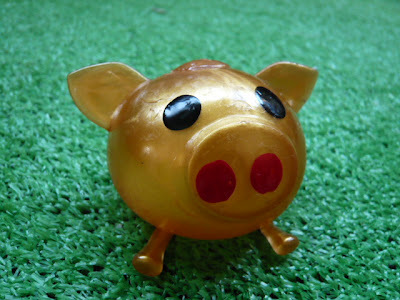 I SO need a reforming rubber pig!!! That's the coolest thing i've ever seen!! I want one! come to u.s. come to u.s.
ah the sad truth i is my old sis. Jin Ai: I can barely wait! Anonymous--The site is great! They also have rats you can smash!